Dr. Doug Favelo teaches Patrick Henry College’s core History of Western Civilization courses as well as upper division courses in history. Prior to coming to PHC in 2010, he served as a lecturer for ten years in the Department of Modern and Classical Languages and Literature at California State University Fresno, teaching history, literature, and Latin. In July 2010 he helped lead and teach a UCLA study-abroad program in Rome. During his doctoral studies at UCLA, the largest history graduate program in the nation, he was ranked number one all four years. He specializes in Greek and Roman history and literature; his research interests include Italian resistance to the expansion of Rome and the lives of the Christian desert monks of late Roman Egypt. Dr. Favelo has been heavily involved in the classical education scene for many years, and also in the homeschool community. He has taught hundreds of homeschooled students Latin, Greek, history, and literature, and has spoken at conferences on homeschooling. He lives with his wife and four children in Loudoun County, Virginia. His passion is to facilitate students’ intellectual and spiritual development, primarily through the medium of a rigorous, Biblically-centered classical education, to the greater glory of God. 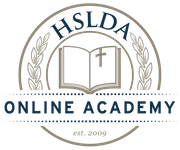 Dr. Favelo has worked with HSLDA Online Academy since 2010 and has developed five Academy courses: AP® World History: Modern, AP® European History, Latin 1, Latin 2, and Latin 3.